Each year at the IDTechEx Show!, two companies are honoured for their achievements in developing and commercialising different aspects of wearable technology. This year the awards were judged by Mr Matthew Heasley (GSK) and Dr Akira Sakaigawa (Huawei) with support from the independent analyst team with IDTechEx Research. As the ecosystem around various wearable products matures at different rates, significant developments at both the product and component level that are required to move the market towards the next generation. Both the high volume and wide diversity of applicants to the award reflected the ongoing spirit within this industry, and the judges commented as to the difficulties selecting just two winners from a list of impressive achievements. Reasons for choice: Blood pressure remains one of the most challenging vital signs to characterise. ViCardio's non-invasive technique does not require the traditional inflating cuff, and also removes the need for individual calibration which has been a requirement in previous attempts at cuff-less, non-invasive monitoring. The device is currently being tested in clinical trials, with the aim of confirming the quality of the data. ViCardio's device has the potential to be revolutionary in blood pressure monitoring, so we are delighted to recognise this potential via this award. IDTechEx guides your strategic business decisions through its Research and Events services, helping you profit from emerging technologies. 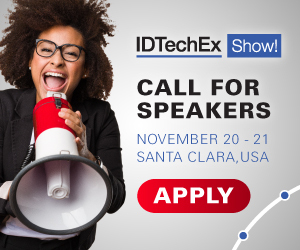 IDTechEx Events provide an analytical, commercial outlook, taking into account market requirements, competitive technologies and development roadmaps. Attendees are presented with the full, diverse range of technologies but the main thrust is always on end user needs and commercialisation strategies. For more information see www.IDTechEx.com .